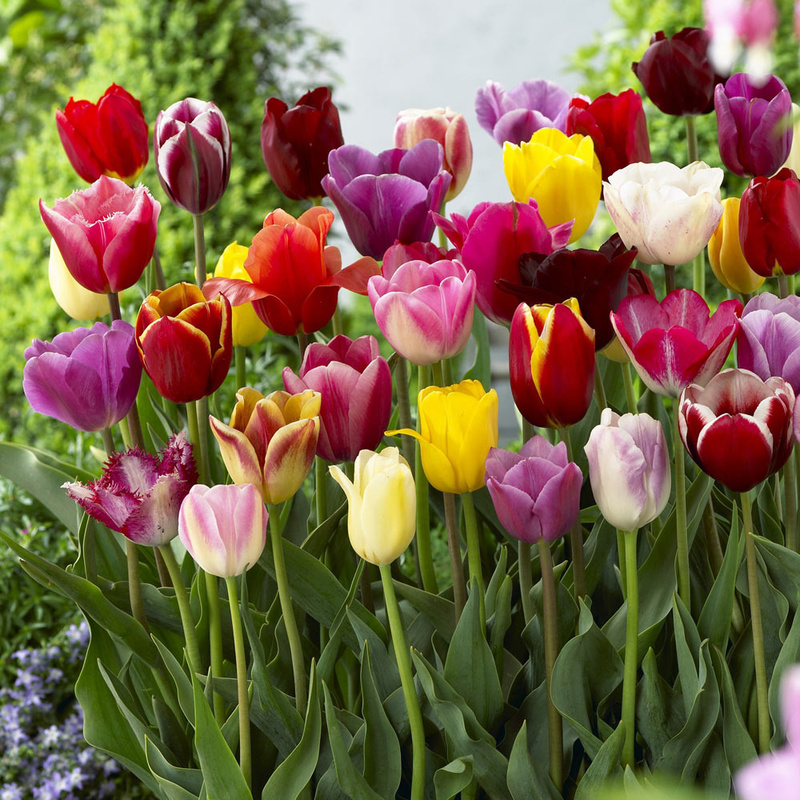 A stunning mixture of triumph tulips, guranateed to introduce a vibrancy of colour to the spring garden that is unmatched by many other spring-flowering bulbs. 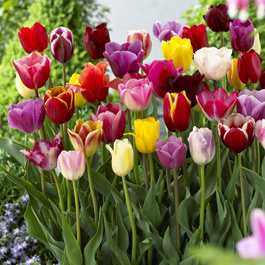 Flowering from April into early May, they are noted for their sturdy 40-50cm stems which are wind-resistant and a superb additon to a border of any size. 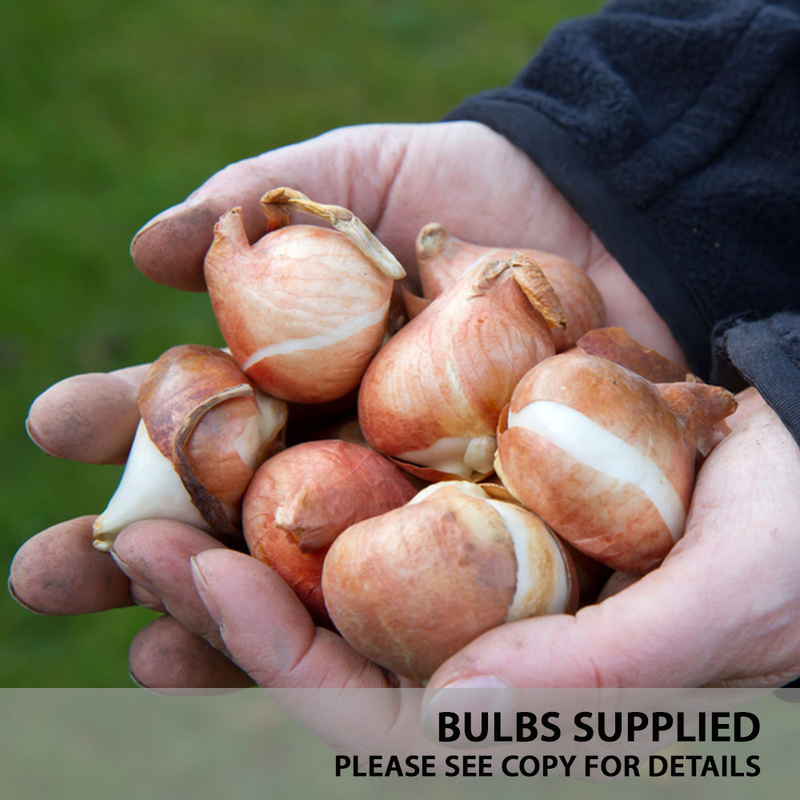 Supplied 11/12cm bulbs, producing the same vibrancy of colour as our 10/11cm bulbs, but with flowers which are slightly larger in size. Normally priced at 12.99, now available for only £3.99 - Saving £9.00 off RRP.